Laura Kohlman Barré, age 87, passed away peacefully on April 13, 2019, surrounded by her family at her home in Dunwoody, Georgia. A celebration of her life will be held at Dunagan Chapel United Methodist Church in Gainesville, Georgia, on April 16, 2019, at 11:00 a.m.
Mrs. Barré was born on September 13, 1931, in Atlanta, Georgia. She was preceded in death by her husband of 65 years, Kenneth Marc Barré, who passed away in 2017. Laura Barré is survived by her daughter and son-in-law, Anne and Gordon Higgins of Talmo; son and daughter-in-law, Kenneth Marc Barré, Jr. and Debbie of Marietta; daughter and son-in-law, Laura and Scott Krieg of Dunwoody; grandchildren, Daryl Higgins, Jennifer Torres, Jeffrey Higgins, Kenneth Barre, III, Jim Barre, Tom Barre, Scott Krieg, Jr., Sally Krieg; and six great-grandchildren: Travis, Sammy, Katie, Shannon, Will and Avery. Throughout her life, Mrs. Barré was totally devoted to her husband, children, grandchildren, and great-grandchildren. Nothing gave her greater pleasure or happiness than spending time with them, showering them with her love. 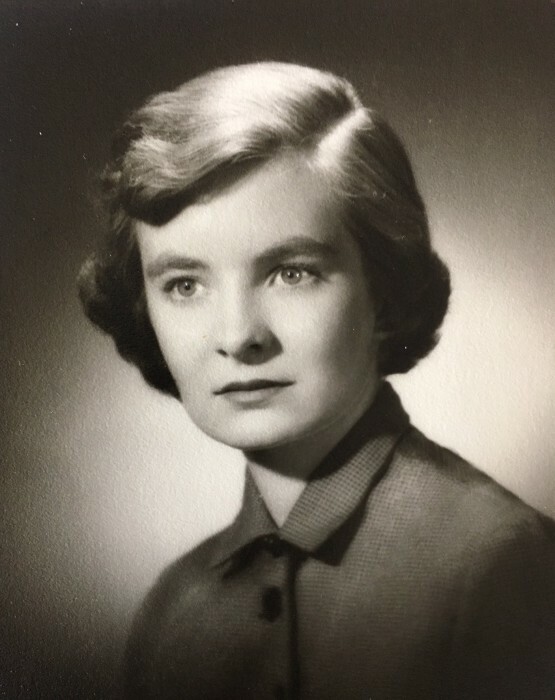 In 1952, Laura Kohlman earned a degree in journalism from the University of Georgia, where she had been a member of Alpha Omicron Pi Sorority. On August 2nd of that year, she married the love of her life, Ken Barré, in Atlanta. They had become engaged when he was a student at Georgia Tech and she was at Georgia. They had planned to wed on September 13, 1952, Laura's birthday, but the date had to be moved up when Ken, a commissioned Air Force Officer, got his orders for deployment for his tour of duty in the Korean War. While Lt. Barré fulfilled his military duties, Laura began her career in journalism as a reporter for the Atlanta Journal-Constitution. She continued to work in newspaper reporting and publishing throughout her career, which culminated with the publication of The History of Doraville, in 1995, a book that she compiled and published with the help of her husband Ken. Laura Barré had great memories from her childhood years, especially the summers growing up on the Dunagan farm and attending church services at Dunagan Chapel with her mother May Dunagan Kohlman. Even after she and Ken began their own family and careers in Atlanta, they often came back to the East Hall community to visit family and to attend services at Dunagan Chapel. Another special place in the area for Laura and Ken Barré is a tract of farm land that has been in the Buffington-Dunagan family since 1799. It is a place that they truly cherished and visited at every opportunity. In lieu of flowers, the family requests that donations be made in honor of Laura Barré to Dunagan Chapel United Methodist Church, 5540 Timber Ridge Drive, Gainesville, GA 30507.